ATI Physical Therapy and American Nail Salon are now open in the small shop builidng at CSRE's Retail at The Fields project located at the corner of Diversey and Pulaski in Chicago, Illinois. ATI Physical Therapy and American Nail Salon now join anchor tenants Ross Dress for Less and Petco. Pet Supplies Plus broke ground in Woodbridge Centre, Wylie, TX in January. This is a build to suit project for a 7,800 sf pet store with dog grooming amenities. 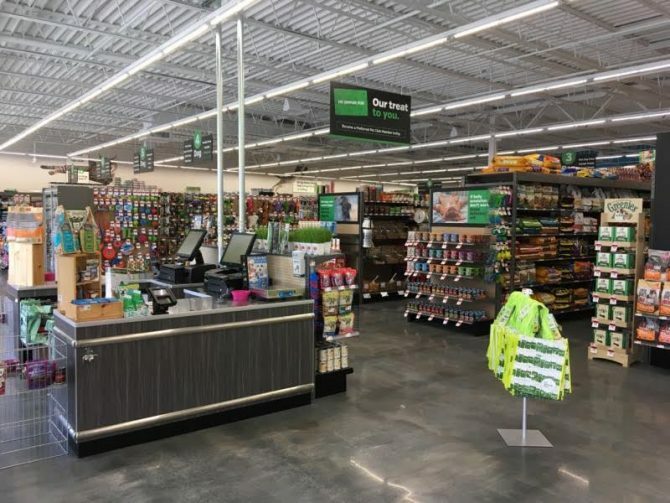 Pet Supplies Plus plans to open in the fall of 2018. Texas Credit Union is breaking ground on its new 3,600 sf banking facility (with drive thru ATM service) in Spring 2018, with an opening date anticipated for Fall 2018. CSRE is please to announce the newest edition to The Emerson, Firecakes Donuts. Firecakes will offer artisan donuts and coffee, and in addition will offer new menu items such as ice cream donut sandwiches and new to Oak Park, a fried chicken sandwich. To learn more about Firecakes Donuts, click here. 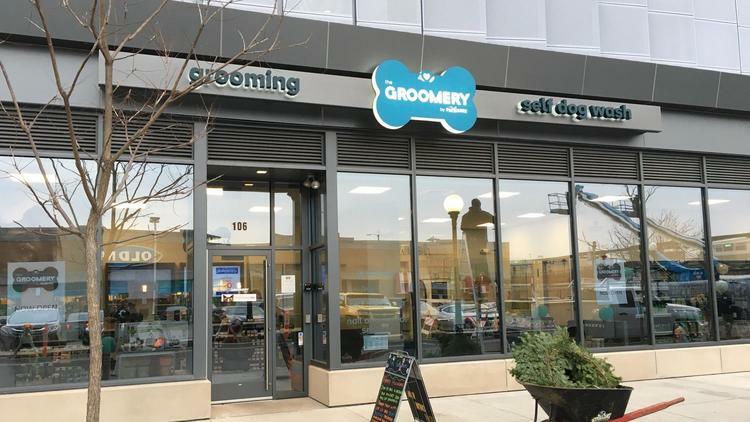 The Groomery by PetSmart has recently opened at The Emerson in Oak Park, IL, making it the first location to open in the United States. The Groomery offers grooming services for dogs and cats that includes baths, brushing, haircuts, nail trimming, teeth brushing, paw maintenance and more. In addition, The Groomery will offer a highly-curated selection of food and pet accessories. For more information about The Groomery by PetSmart and The Emerson, click here. Celebrating it's grand opening on Friday, October 20th, Wheel & Sprocket is now the newest bicycle store in Oak Park, located at 1118 Westgate Street. Rated one of America's Best Bike Shops by the National Bicycle Dealers Association, the new bicycle shop is planning a grand opening weekend filled with bicycle education, product demonstrations and a Saturday morning bike ride with the Oak Park Cycling Club. CSRE and Lennar Multifamily Communities were pleased to celebrate the opening of Target at The Emerson in Oak Park earlier this month. This flex format Target store will offer groceries, beauty supplies, personal care products, clothing and home goods. In addition, the store includes a Starbucks Coffee and CVS Pharmacy. 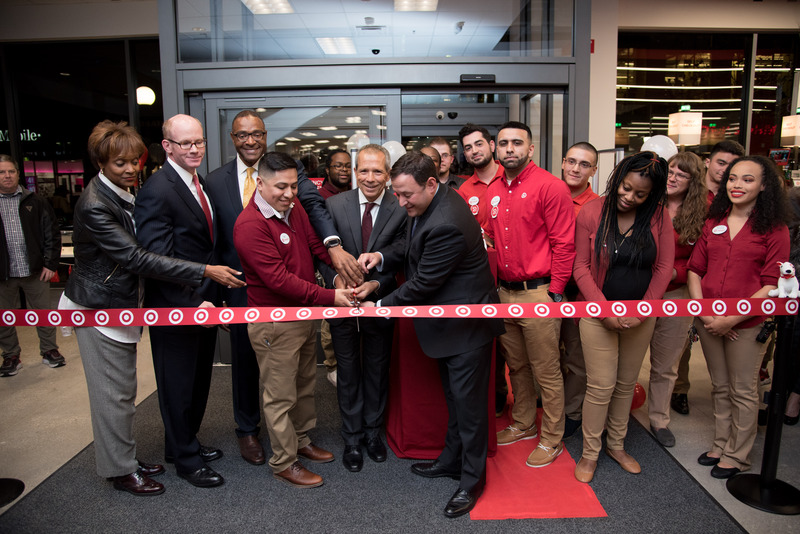 For more information about the opening of Target in Oak Park, click here. CSRE is proud to announce that we have signed a lease with Petsmart for the Emerson. Petsmart is the largest specialty pet retailer of services and solutions for the lifetime needs of pets. They are anticipated to open a 2,200 square foot space located at 106 N. Maple Avenue this fall. Oak Park, IL – Clark Street Real Estate is proud to announce that they have signed a lease with Chicago-based Firecakes Donuts. Firecakes Donuts will be occupying the space at the corner of North Boulevard and Maple Avenue. Jonathan Fox says he is “thrilled to be joining such a vibrant community as that of Oak Park, and can’t wait to share his donuts with them. We are looking at a projected opening date of October 17, 2017”. Firecakes is a gourmet coffee and donut shop with current locations in River North and Lincoln Park. Their small-batch donut shop is known for signature flavors such as a Tahitian Vanilla Glazed, as well as their signature donut ice cream sandwich. For more information, visit firecakesdonuts.com. Oak Park, IL – (4/3/2017) –Wheel & Sprocket, one of the top bicycle retailers in the country, announces today that it will open a new location in The Emerson development in downtown Oak Park, Illinois. The 3,000 square foot bike shop, located at 1118 Westgate Street, is scheduled to open in June. The company has finalized a lease with the building owner Clark Street Real Estate (CSRE) and is working on final permitting and space build out. Founded in 1973 in Hales Corners, Wisconsin, Wheel & Sprocket began as a small, local bike shop and has grown in to one of the largest bicycle retailers in the country. Inspiring all types of people to “Enjoy their Ride”, Wheel & Sprocket distinguishes itself with attentive customer care and active community involvement. The Oak Park shop will be Wheel & Sprocket’s 8th location. The company recently purchased all of the inventory and equipment of Element Cyclesport (located at 1101 Chicago Avenue) which has permanently closed. Since 1973, Wheel & Sprocket has grown from its original Hales Corners, Wisconsin location to include a total of seven locations in Metro Milwaukee, Wisconsin’s Fox Valley and Evanston, Illinois. Over the years, Wheel & Sprocket has been recognized as one of the best independent bicycle retailers in the country including being named “Retailer of the Year” three times by industry publications. Wheel & Sprocket is family-owned and operated, and employs over 200 people who have a passion for bicycling. Community action and engagement has long been a part of the culture and the company supports over seventy events and rides each year including Bike the Drive, the Chicago Cross Cup, Hugh Jass Fat Bike Series, Tour de Cure, Cowalunga, Walk & Roll, and many more. Clark Street Real Estate does more than create dynamic projects that serve communities. The company give back through philanthropic initiatives including real estate education and mentoring, cancer research, children in need, and juvenile diabetes among others. Lakewood, CO – Clark Street Real Estate (“CSRE”) recently completed the acquisition of an outlot that sits in front of Denver West Village (anchored by Whole Foods, Bed Bath & Beyond, Old Navy, and Marshalls) and across the street from the 1.1MM SF Colorado Mills mall. CSRE will break ground on a new freestanding AT&T store this Fall with a projected opening of late Spring 2017. 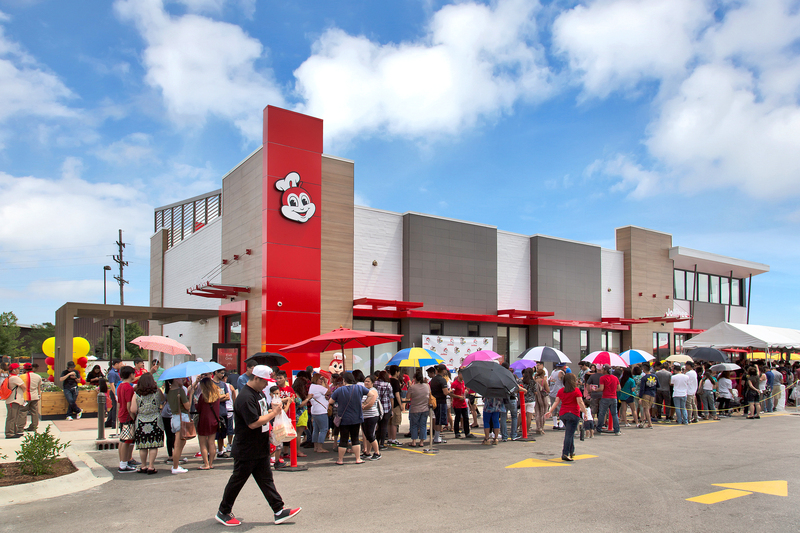 Skokie, IL – Jollibee, the Philippines largest fast-food chain, held their grand opening of its first Midwest restaurant on Friday, July 29th at Touhy Marketplace, a Walmart-anchored shopping center, located at 3534 W. Touhy Avenue in Skokie, IL. Clark Street Real Estate secured a ground lease for the 4,500 square foot Jollibee restaurant in November of 2014 and construction of the site was completed this summer. With more than 3,000 stores worldwide and rapidly expanding, Jollibee features Filipino-influenced dishes specializing in burgers, spaghetti, chicken and some local Filipino dishes. CHICAGO, IL – Clark Street Real Estate has fully executed a lease with AT&T. AT&T signed a seven year lease term for a 2,248 square foot space at Dukes Plaza on 1724 W Lawrence Ave. in the Ravenswood neighborhood. AT&T is expected to open Summer 2017. For more about AT&T, visit att.com. For leasing information at 1724 W Lawrence Ave, please contact Adam Moschin at 312-377-9306 or by email at amoschin@clarkstreet.com. 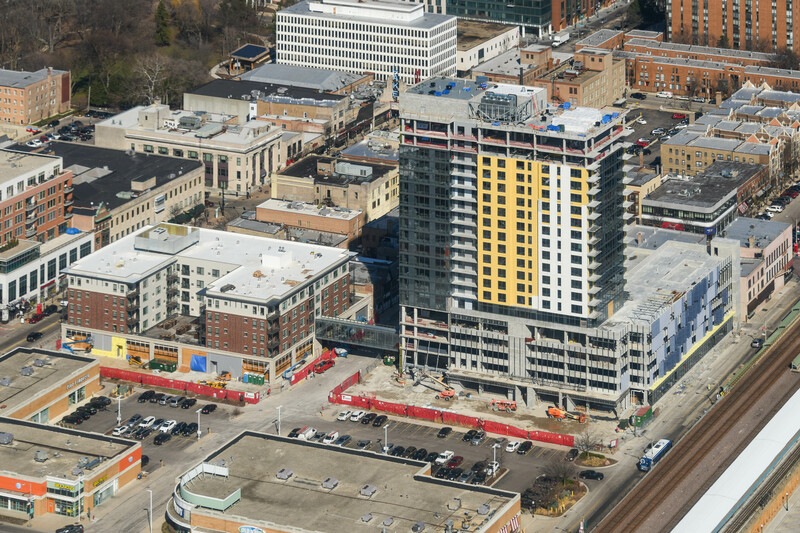 Clark Street Real Estate (“CSRE”) and Lennar Multifamily Communities (“LMC”) are pleased to announce the closing and commencement of construction on Oak Park Station located at the southeast quadrant of Lake and Harlem in Downtown Oak Park. 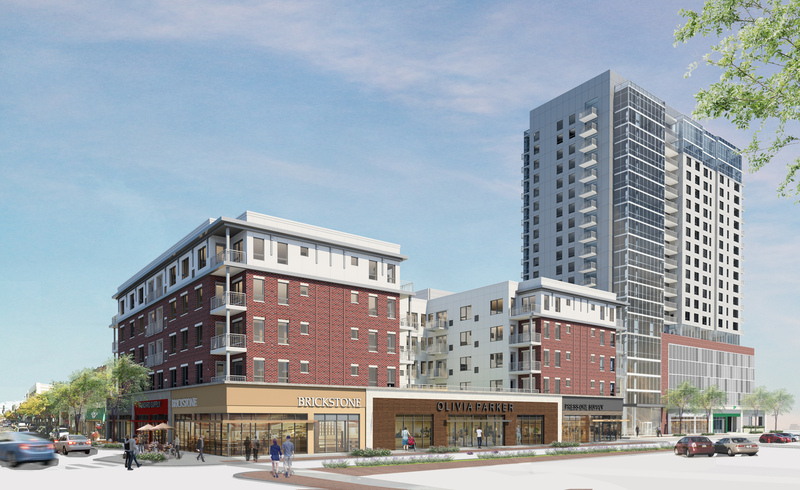 This dynamic mixed-use development will consist of approximately 28,000 square feet of retail space, 270 luxury apartments, and a five-level 424 space parking garage. Oak Park Station is expected to be complete by Summer 2017. For retail leasing information, please contact RKF at 312.698.8880 or visit RKF. Skokie, IL – Clark Street Real Estate has recently fully executed a lease with Wisconsin based, top-tier MRI center, Smart Choice MRI. Smart Choice MRI has signed a ten year lease term for a 1,552 square foot space at the Walmart anchored Touhy Marketplace shopping center located on Touhy Avenue in Skokie. Smart Choice is expected to open spring 2016. For more about Smart Choice MRI, visit smartchoicemri.com. For leasing information at Touhy Marketplace, please contact Adam Moschin at 312-377-9306 or by email at amoschin@clarkstreet.com. 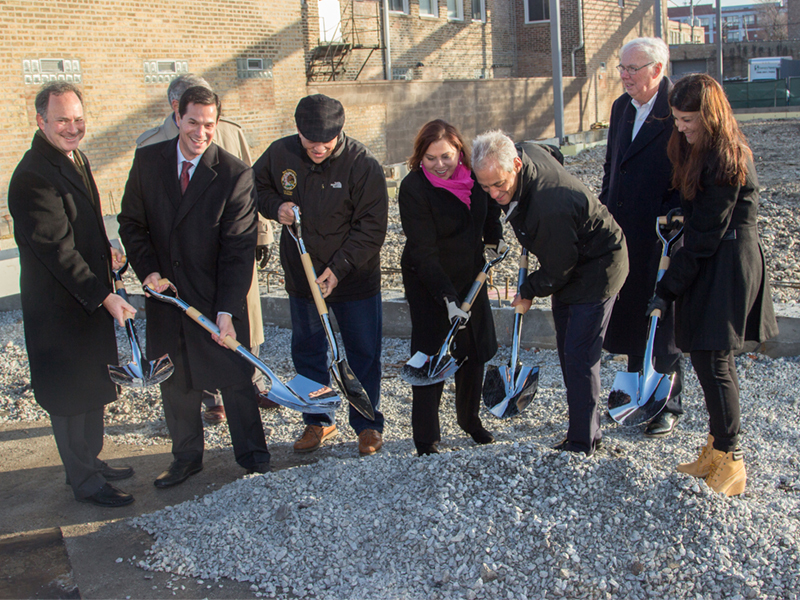 Oak Park, IL - Oak Park Mayor Anan Abu-Taleb was joined Tuesday morning by representatives of Clark Street Real Estate and Lennar Multifamily Communities in officially commemorating the start of the Village’s next major downtown development project – Oak Park Station. 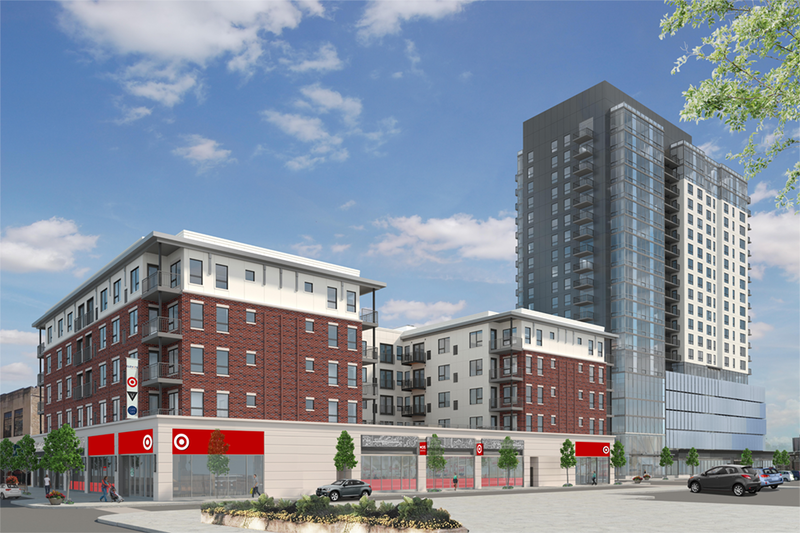 The mixed-use development project planned for the properties often referred to the Colt site will bring 271 luxury apartments, 26,000 square feet of retail space and a five-level parking garage with 400-plus spaces to the area just east of Harlem Avenue. Crews already have begun demolishing a portion of 1118 Westgate Street to the east of the main site and ComEd, Nicor and AT&T soon will be relocating services to clear the way for construction to begin. Final environmental testing also is expected to be completed within the month, which is the final hurdle to the project moving into high gear. Full-scale construction activities for the project are anticipated to begin by mid-December, according to development officials. Substantial completion is envisioned for March 2017. The project site is bounded by Marion Street, Harlem Avenue, Lake Street and North Boulevard. Plans call for constructing a five-story building fronting Lake Street and a 20-story building facing North Boulevard. The two buildings would be connected by a pedestrian bridge over Westgate Street. The public investment in the project will be about $7 million, which includes the value of the land, the public portion of the new garage and the new street that will connect Lake Street and North Boulevard. The project is expected to cost about $85 million. Once completed, it is projected to add about $25 million to the local property tax base. Chicago, Illinois - On October 6th over 700 people, including CSRE team members in support of CSRE Principal and President of the HEEF Executive Board Peter Eisenberg, gathered at the Palmer House Hilton for the Seventeenth Annual Harold E. Eisenberg Foundation Fundraising Dinner. 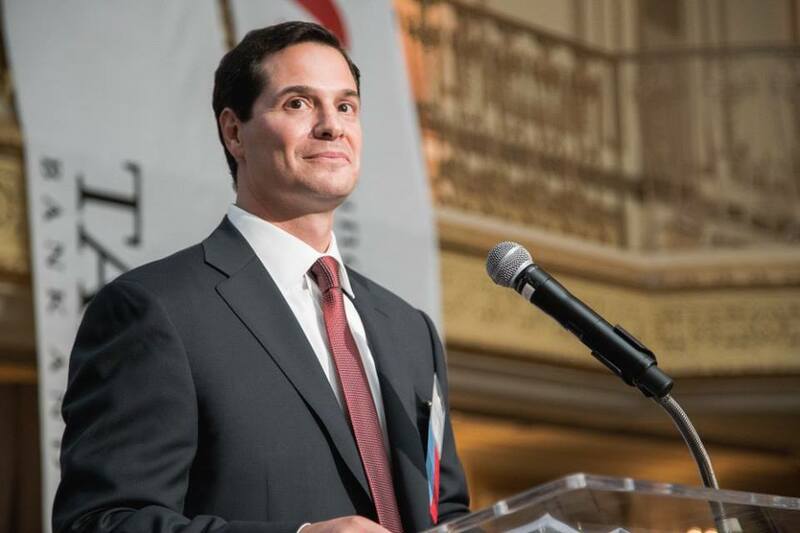 The event successfully raised nearly half a million dollars to benefit the foundation’s two-pronged mission of funding gastrointestinal cancer research and advancing real estate education. During the annual event, the organization announced their new Real Estate Scholar program, which will provide three outstanding students with an opportunity to work hand-in-hand with real estate innovators to jumpstart their careers in real estate, including a scholarship awarded to each of the students. For more information about The Harold E. Eisenberg Foundation, please visit www.eisenbergfoundation.org. 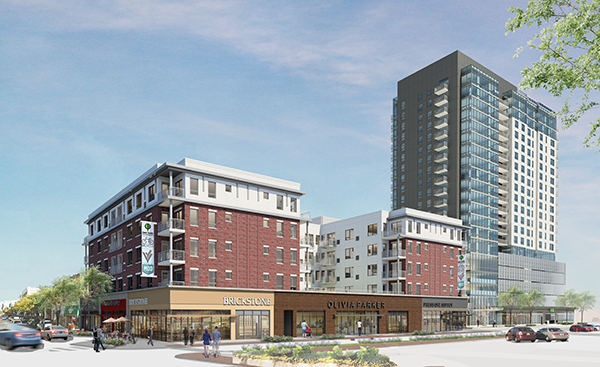 Clark Street Real Estate and Lennar Multifamily Communities are pleased to announce that they have received unanimous approval from the Oak Park Village board on its Oak Park Station project at the southeast quadrant of Lake and Harlem in Downtown Oak Park. Oak Park Station will consist of 26,000 square feet of ground floor retail, 271 luxury apartments, and a 428 car public parking garage. The development team is slated to begin construction in November of 2015 with a project completion target for summer of 2017. Additionally, please click to read the recent Chicago Tribune article on the project. For retail leasing information, please contact Anthony Campagni at RKF at 312.698.8815 or by e-mail at acampagni@rkf.com. Glen Ellyn, IL – Clark Street Real Estate (“CSRE”) has recently fully executed a lease with national bakery-café chain, Panera Bread. Panera Bread has committed to a long term lease on a 0.96 acre outlot located on the 700 block of Roosevelt Road. Construction for Panera Bread’s 4,300 sf single tenant building with a drive-thru facility is scheduled to commence in spring of 2016. For more about Panera Bread, visit panerabread.com. For leasing information at Roosevelt Glen, please contact Adam Moschin at 312-377-9306 or by email at amoschin@clarkstreet.com. 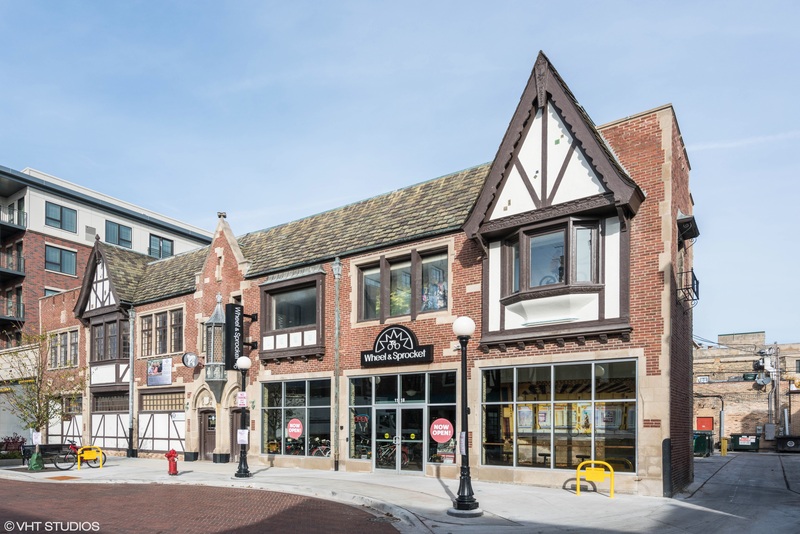 CHICAGO, IL – Clark Street Real Estate (“CSRE”) recently completed the acquisition of Duke’s Plaza, a 3,750 square foot strip center in the heart of the Ravenswood neighborhood of Chicago. Duke’s Plaza is located blocks away from the new Mariano’s, LA Fitness and the Ravenswood Metra and “L” station. Significant capital improvements will be made in order to reposition the Property. The site features nine on-site surface parking spaces and a large pylon sign along Lawrence Avenue. For leasing information, please contact Adam Moschin at 312-377-9306 or by email at amoschin@clarkstreet.com. Chicago, Illinois – We are proud to announce that we changing our official company name from Clark Street Development to Clark Street Real Estate. The Company will continue to operate in its current structure and all our contact information will remain unchanged. In addition to our name change, Clark Street Real Estate is pleased to unveil its new branding created in conjunction with Pivot Design. Pivot Design is an award-winning graphic design agency specializing in the creation of exceptional brand materials covering all aspects of today’s complex marketplace. Skokie, Illinois – Clark Street Real Estate has recently sold the Floor & Decor property located at 3300 Oakton Street in Skokie, IL. 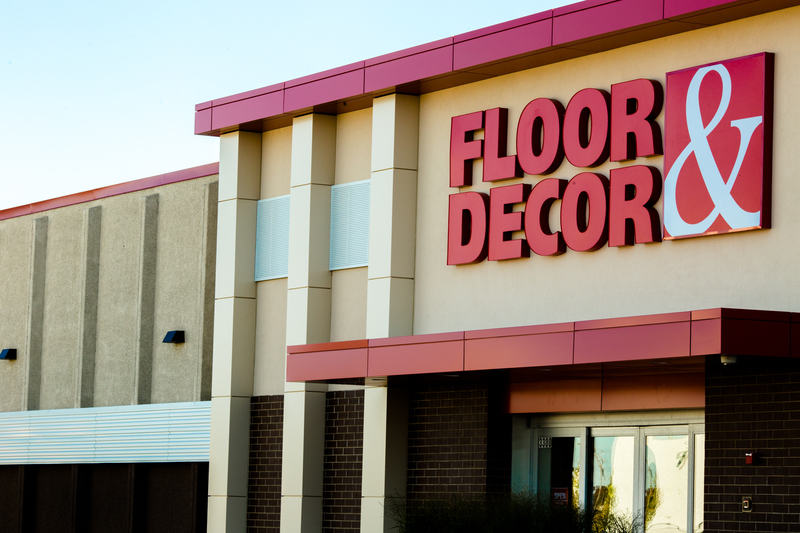 CSRE acquired the former General Automation industrial building and redeveloped it for Floor & Decor, a specialty retailer that sells a range of tiles, glass products, kitchen & bath products, flooring and related accessories. 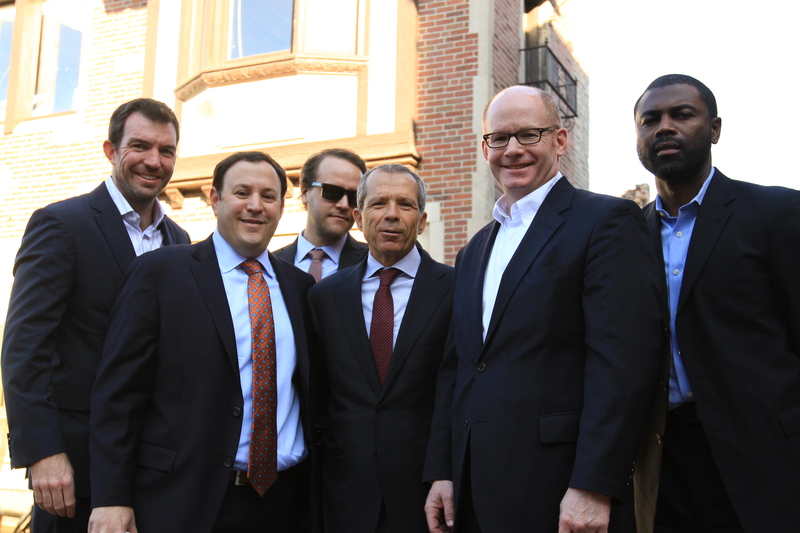 Jordan Schtulman and Jonathan Wolfe of Stream Capital Partners procured the buyer a private East Coast REIT. For more about Floor & Decor, visit flooranddecor.com. Wylie, Texas – Clark Street Real Estate is proud to announce the opening of The Rock Wood Fired Kitchen at its Kroger Marketplace–anchored shopping center located in Wylie, Texas. 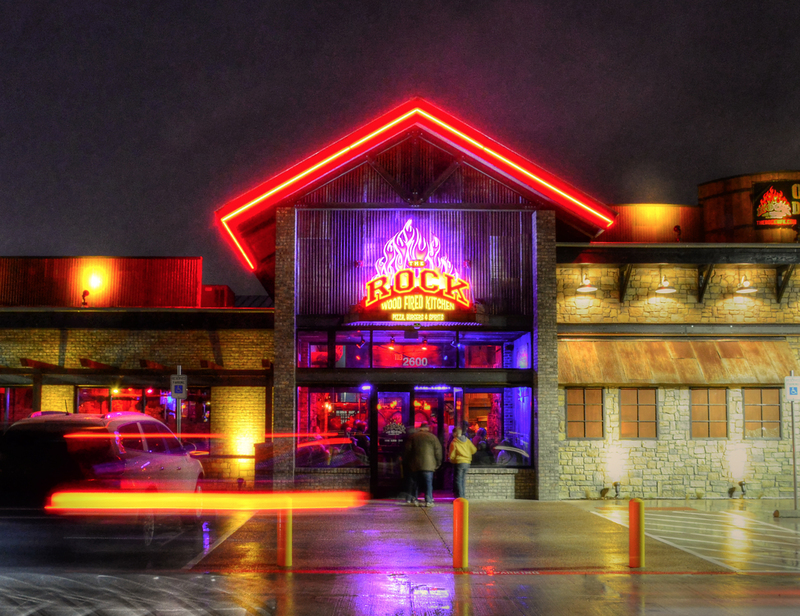 The Rock Wood Fired Kitchen completed construction on the 7,700 square foot full service restaurant and held its grand opening on December 28th, 2014. The grand opening at Woodbridge Centre broke the previous sales record for this concept's new store openings. For more about The Rock, visit therockwfk.com. 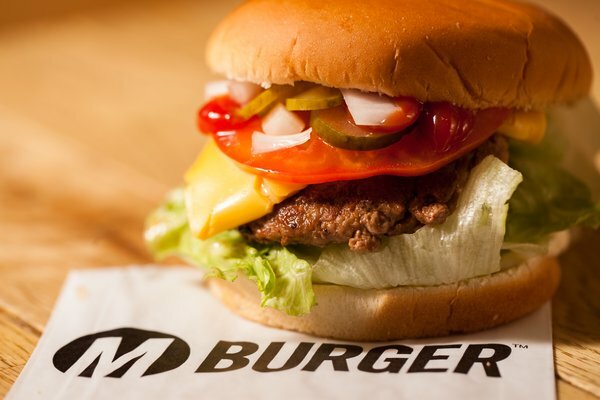 Skokie, Illinois – M Burger (Lettuce Entertain You) opened its first location outside the City of Chicago. The free-standing restaurant includes seating for 100 and a drive-thru. CSRE developed the site and managed vertical construction for M Burger as part of its Touhy Marketplace redevelopment project. For more about M Burger, visit mburgerchicago.com.